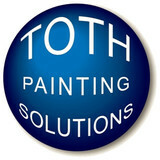 From the many compliments of our customers, Toth Painting Solutions has adopted the slogan - Good People, Great Painters! Since the year 2000, Toth Painting Solutions has been your neighbor, providing only the highest quality Interior and Exterior painting and staining. We have been able to find painters who respect you and your homes, and simply love what they do. We want to be sure your experience is one that you will remember for years to come. We do all types of Exterior Painting and Staining to make the outside of your home look like you've always wanted it to! All types of Interior Painting and Staining to give the inside of your home a fresh new feel! 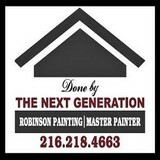 THE NEXT GENERATION|Robinson Painting LLC is a professional painting contractor with over 30 years experience in exterior and interior work. And now as the "Next Generation" establishes its efforts in the community, the highest standard and most innovative techniques are available for all your painting and/or related needs. Further, being recognized as "finish" painters with custom work qualifications, our customer satisfaction record is of the highest standard. Craftsmen with custom work expertise. No project is too small and the same care and concern is given to each undertaking. Years of experience working with interior designers and in custom color selection. Get custom quality work for a very reasonable price! We work within your budget to create the look and feel you desire for your home or business. Our neat and meticulous team will treat your project with the utmost care. We have provided outstanding service in various communities of Cleveland, including but not limited to the following: Shaker Heights, Cleveland Heights, Beachwood and University Heights, as well as additional areas of Cleveland. Classic Restorations is a Family owned and operated company serving the Chagrin Valley for over twenty five years. We specialize in Interior and Exterior Painting and Staining. Our projects include everything from Custom Built Homes to Historical Renovations on Century Homes. We offer high quality work at competitive prices and have many satisfied and happy customers. Please call for your free estimate. Curb Appeal Painting is an Ohio-based, family owned business, providing superior painting services to Cleveland and the surrounding areas for over 14 years. We offer the highest quality painting services available at competitive prices. From set-up to clean-up, our experience is second to none. We are not a franchise and use only skilled, trained employees. We do no subcontract. "Craftsmanship is our profession!" When it comes to interior/exterior painting we are equipped for jobs on any scale. We provide only top quality services to achieve the best possible outcome on every job. Paying attention to even the smallest details you can rest assure a job done the right way when you contract ESV Handicraft Co. for your painting or drywall needs. Our estimates are always free! Best Buy Painting is family owned and operated with over 15 years combined experience. We are proud to be painting contractors in the Cleveland, Ohio area. Owners are present on every job to ensure quality work. 100% customer satisfaction is our #1 concern, making us... A STROKE ABOVE THE REST! A Fresh Color & Design is a family owned and operated company. Started by Jim & Heather Critzer Halloween night 2013 with a little encouragement from family and a close friend. Fresh Color & Design is more than just your painter; we are a full service residential and commercial painting company serving North East Ohio. In addition to painting Fresh color offers light carpentry and design services and have been known to dabble in custom hand made furniture for clients. 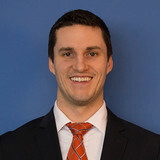 Jim and Heather bring a unique, personal approach and treat each client as if they are family. Whether simply choosing a single color, complete redesign of color schemes within your home or business A Fresh Color is your right Choice. Fresh Color & Design is Fast, Friendly and fully functional, our professional Painting Service is well renowned throughout the Rocky River area. Our team is up for every job, managing projects with the skill and experience our clients have come to expect. We always stand behind our work, with customer satisfaction being our #1 priority. Contact us to learn more about our incredible staff and how they can help you! 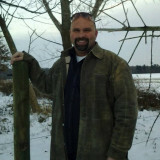 Randy Wilhelm Painting & Power Washing, Inc. Interior and exterior residential and commercial painting and home improvements. Snyder Bros. Painting, LLC is a full-service painting contractor specializing in interior/exterior residential & commercial painting, new construction, and restoration. Our customers include countless residents of Cleveland's finest neighborhoods, decorators, designers, residential and commercial property management companies, general contractors, architects, realtors, and building owners. From the moment you call and hear a warm voice you will soon discover that The Final Coat is no ordinary painting company. The professionalism, thoughtfulness, and genuine interest in your needs set the tone for the best painting experience you’ve ever had! We call this The Final Coat Difference. Working hand-in-hand with our guarantee and no-surprises policy, we have created a lengthy trail of satisfied customers. Presented in a question-and-answer layout, much like our own Questions & Answers section, the initial piece of every project allows us to describe the professional and planning efforts that will go into your project. These will provide the excellence and convenience you want when completing a home project. If your painting project has specific needs that will require special efforts, please let us know so that we can make sure that your Final Coat experience is the best painting experience you’ve ever had! Learn more about our interior and exterior home painting services, or contact us today to get things started! Your professional, affordable, full service painting contractor, serving the residential painting needs of the entire Canton area. Interior and exterior, carpentry repairs, power washing, color consulting, and deck staining/refinishing – we do it all with a focus on customer service not commonly found in the trades. Fresh Coat is a Professional Painting Company that services the Greater Mansfield area and other communities in North Central Ohio. Our company offers a wide range of interior and exterior painting services, and we approach every project with years of craftsmanship under our belt. You can count on Fresh Coat to deliver top quality painting services at a price that you can afford. Whether you are looking to have your residence or small commercial property upgraded, we can handle all your painting, staining and wood finishing needs, inside or out. We provide free, firm, detailed, printed quotes with no hidden fees.